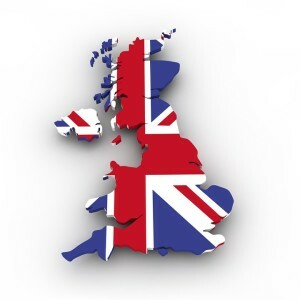 Home » Business and Business Energy News UK » How many wind turbines does the UK need to generate enough energy for our usage? How many wind turbines does the UK need to generate enough energy for our usage? 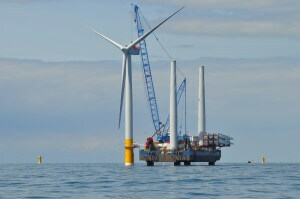 What developments are being made in UK wind power generation? In December 2011 DONG Energy gained a 33.3% stake in two offshore wind projects including Project One in the Hornsea zone, which is situated off the coast of Yorkshire. This wind power project is unlike anything the UK has seen before and includes the erection of a further 174 turbines, bringing the total number on the 160mile2 site to an impressive 240 wind turbines combined. This venture is expected to reach completion by 2020, which aligns perfectly with the deadline for Government climate change targets. How much energy is generated by wind power in the UK? Currently wind power is generating enough energy to meet 10% of UK needs. Project One is estimated to be capable of generating enough power to energise over 1 million homes. Given that there are approximately 25 million homes within the UK, the 1.2 gigawatts of energy provided could cater for 4% of domestic usage. “It is ground-breaking and innovative, powering more homes than any offshore wind farm currently in operation,” said Brent Cheshire, Dong Energy’s UK country chairman. If these figures are correct, that would mean that we need 4350 wind turbines to ensure that all UK households are powered by renewable energy sources. The UK has, however, already surpassed this figure with in excess of 6,000 turbines already in operation. What about renewable business and government energy usage? Evidently domestic consumption does not cover the entire usage of the UK, therefore many additional turbines would be needed in order to aspire to an entirely wind powered nation that caters for all business and government usage as well. There are other suppliers alongside Dong Energy that are working to provide energy from renewable sources such as Scottish Power and EDF, but which supplier is right for your business? And what is the difference in price when considering renewable vs non-renewable suppliers? Using third party intermediaries such as Exchange Utility, you can compare business energy suppliers that generate their electricity from both renewable and non-renewable sources in one simple comparison. Alternatively upload your bills and we’ll contact you with the best tariffs and prices for your business energy and utility contracts. Business gas, electricity and water savings. Made simple.